The Pit is definitely one of the harder Lost Sectors to locate in Destiny 2, and that's saying something. In this Destiny 2 Pit Lost Sector guide, we'll be walking you through to the final location of this tricky hidden location in the European Dead Zone. But if you instead need help with any other areas of Bungie's FPS sequel, you'll want to check out our complete Destiny 2 guides hub. It's on this page that you can find complete walkthrough guides to obtaining some of the rarer weapons in the game, such as the Rat King and the MIDA Multi-Tool, as well as how to unlock all the endgame content for the Curse of Osiris and Warmind DLC packs. The Pit is definitely one of the harder to find Lost Sectors in Destiny 2, which is saying something. 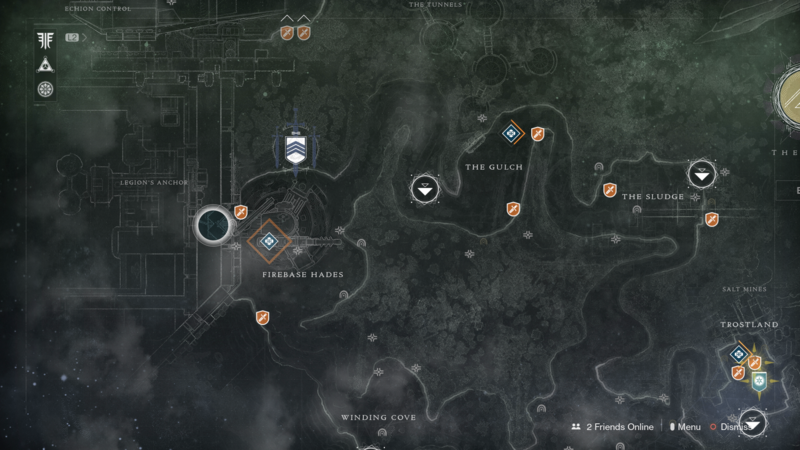 If you're new to the game, Lost Sectors don't actually have their entrance points marked on your map, and are instead designated by small upside down semi circles on your local map, with a dot in between the semi circle. Just below, you can see the full video walkthrough of how to find the Lost Sector known as The Pit. In order to uncover this Lost Sector, you'll need to head to where our cursor is placed in the screenshot of the European Dead Zone map in Destiny 2, just below. When you reach Firebase Hades in the European Dead Zone, you'll want to circle around the northern outskirts of the base, until you come to a tunnel that passes underneath a small bridge. Head inside the tunnel, and the entrance to the Lost Sector is on your right. The main enemy type you're going to be facing in this Lost Sector is Cabal, so make sure to pack some weapons that fire quickly and pack a punch. You'll mainly be going up against your usual Cabal troops in The Pit, and the final boss is a particular tough Captain, but you can make short work of him with a grenade launcher or your Super Ability. We're now all wrapped up with this particular Destiny 2 guide, but there's lots more to cover on the game just yet. You can continue ahead to our Destiny 2 Gambit guide for how to win at the new mode, or our Destiny 2 Forsaken weapons guide, where we'll walk you through how to get hold of the very best weapons in the DLC pack.